Join us for an elegant evening at the historic Shangri-La Springs to raise funds and awareness for pediatric mental and behavioral healthcare in our community. Guests and sponsors will enjoy hors d’oeuvres, cocktails, dinner provided by Crave Culinaire by Chef Brian Roland, a live musical performance by nationally acclaimed bass-baritone Doug Renfroe, and remarks from our Keynote Speaker Richard Keelan, child advocate at Golisano Children’s Hospital of Southwest Florida. 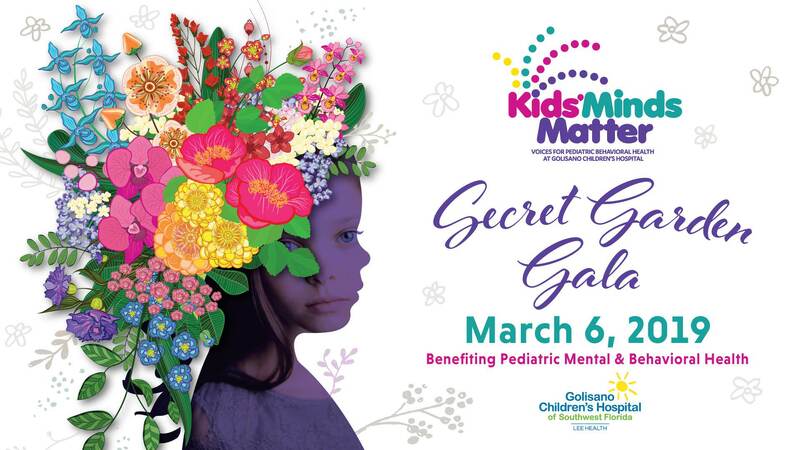 Kellie Burns NBC2 will be our lovely emcee for the evening and Rick Gallo will lead a Fund The Need Auction to support Kids’ Minds Matter.